For people who are curious, I searched and couldn't find anything....here's a list of cross referenced oil filters we can use on our Hawk. If you have the room, I recommend the longer filters. * K&N KN-204, about $13. Metric nut on end for easy removal. * Purolator ML16817. Imported, not made by Purolator. * Purolator Pure One PL14612, about $6. * Mobil M1-108, about $12. * Bosch 3300, about $6. * Purolator Pure One PL14610, about $6. * Mobil 1 M1-110, about $10. * Bosch 3323, about $6. about $2. Made by Champion. 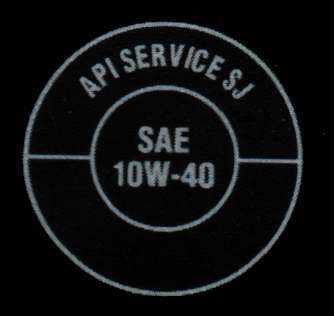 Automobile Filters, about 2.5 inches long. so what you are saying is, you can use any of these filters on the bike...Does it matter what yr? The Superhawk has been unchanged since 98, filter wise, and for the most part, overall. So yeah, don't buy into the "Motorcycle filter" hype. And deinfitly avoid a Fram. A guy ont eh R6 forum bought a ton of filters and just hacked away at them for the filtering element, and found that Frams, was almost like running no filter at all, lol. The reason I posted this was because on my previous bike, there was cross referencing for everything, R1 throttle tube for a quick turn throttle, R1 fork conversions, and for oil filters, it was a Mazda MX3 V6 oil filter. I'm all about using what works. The oil debate is mainly preference. I use Mobil 1, as it's proven and readily available. Some people swear by Royal Purple, Motul, etc....I'll stick to the best that I can get EASILY...Mobil one can be had at Walmart, and even grocery stores...so I'll stick to that. That is freaking awesome!! Nice job on the research!! Don't also buy into the hype of Motorcycle oil. Oil is oil in that respect. See the difference besides the weight? When you get oil, make sure it's #2. You find that seal on the back of the bottle or jug of oil. 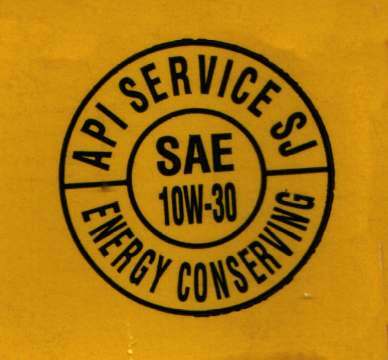 You don't want oil that has the Energy Conserving on the bottom portion of the API seal. The energy conserving oil has preservation detergents in it that are harmful to your clutch. Stay away from this, as it will make your clutch feel like it's slipping all over the place, and it's a PITA to flush out even over time with using the correct oil. 9 times outta 10, with the heavier weight oils, you won't have the energy conserving status on it for the obvious reasons, lol. But check the back anyways anyways just to be sure. I can't believe no one really jumped on this thread especially since it's in the middle of PMS for lots of folks! What a great fourm. On the VFR forum, there is a research engineer who lives right up the road from me (in Texas terms) who eats and sleeps engine oil properties. He runs dyno's 24/7 for a research instititue and analyzes chemical breakdown specimens of all kinds of oils. I'll save you TONS of reading from that site: mobil one gold cap (used to be a red cap) 15w/50 synthetic. Their m/c specific oils do return better analysis but not enough to justify the much higher cost. He's **** enough to run the V-twin formula tho'. He also says a very good and much cheaper alternative is shell rotella synthetic (about $12 a jug at wallyworld). Don't use energy conserving (EC) oils. Change frequently. That's it. Another story that "sold" me on mobil one years ago. I personally know a former owner of a top level open wheel auto (not formula 1) US race team who's main sponsor was an oil company. Late at night, they would poor mobil one (zero weight!) into the company's yellow (hint, hint) empties to use in public! Thanks mang, this list goes in the saved file! Yeah...I was kinda wondering why nobody jumped on this thread...I was like..well, i guess people prefer the honda oil/filter, lol. Dealer said every 4K...manual says every 3K(not that I really listen to the manual) but I do it religously at 3K. Why not...it's a good "normal" number. I have a buddy who has an aircooled VW (where oil is of utmost importance, probably 10x more than a watercooled engine) and he hasn't changed his oil in 15K miles of weekend trackdays, and daily beatings of the motor opening her up on every straight and redlight...his car is still running, perfectly fine, lol. Beleive it or not, Sportrider mag. said you should change the oil before and after every trackday because of the extreme beating the engine puts the oil through. Of course being the cheap sob I am I've done 4 trackdays on this oil change. Interesting he found the K&N oil filter 'sub-standard' not recomended ! I would have thought K&N would make a good oil filter......go figure ! On my VTR I've always used (>50.000 Km) Mazda MX5 (Miata) oil filter bought at my local car spare shop. It works perfectly! Shell Advance VSX 15W/50 (Semi-synt) is the oil I use. Here's the link for our VTR's AND other motorcycles too! Here's more info on oil filters. Some seem to contradict the previous information. Just did the oil on mine last week. I've run 10-30 or 20-50 (summer track days) in all my bikes with 0 troubles. They didn't have the m1-108 when I hit the Autozone, and being in a rush I grabbed the m1-110 instead. I did have to trim about 1/4" off the chin spoiler so it would clear (seconds with the dremel). Figured I just increased my options, and a larger filter might even be better, who knows? May not be the right question to be here, but since this thread is all about Oil change, I am shooting it here. Is it necessary to change the oil filter everytime you do oil change? How often (miles/duration) should an oil change be done? I change the filter at each oil change @ 3000 miles just like the manual says. You might get away with changing the filter every other oil change but why risk it? Plus you will leave a small amount (1/3 to 1/2 qt) of dirty oil in the old filter to mix with the new clean oil you put in. Dirty oil is dirty oil!! Doesn't matter if it's synthetic or 'dino' oil it's still carrying microscopic dirt particles thru your engine increasing the wear unnecessarily. The filter only takes out the big crud & lets the little crud pass thru. If the filter gets too dirty it goes into bypass mode & doesn't filter the oil anymore when the pressure gets too high in the filter. With proper care these motors will last many times longer than an air cooled motorcycle engine. I remember my old Laverda 750SF2 did not have an oil filter. But that was 1974 technology & oil changes were every 1000 miles. Now that was interesting setting points & timing on that motorcycle! regarding filter options most people I have talked to regarding filters for cars sujest WIX to be the best. Fram is one of the worst. also the NAPA gold is made by WIX and also a good filter. Im very picky about my filtersnot so much the oil as its not that much diffent between brands even thought I do change types deppending on seasons. But that wm oil supertech is the same as penzoil just diffrent bottle. Great thing about walmart they outsourse alot for top people. As far as larger filters I cant see why more oil and more filter element would be a bad thing? Not to hijak but wonder what some kinda heat sink ribbing on the sides of a filter would do for temp? Just bought a '98 hawk... loved the way it rode and have been wanting a 90 degree twin for a while.... researching oil filter and came across this thread which makes me happy. Honda seems to use the same filter on everything. This is the same filter as on my '04 ST1300, my '98 VFR800 and my '07 Honda Odyssey. Nice. I use the Purolator Pure One 14612 which has some of the best test results of any filter out there, been using it for years.. plus it is pretty cheap at about $6 through Amazon (or sometimes less). PureONE oil filters are designed for vehicles, not bikes. What? Bikes are not vehicles? Anyway, I picked up a Purolator L14612 since WalMart seems to have discontinued the SuperTech filters that I have been using. This L14612 is actually a bit longer (2.93 in) than the ST6607 (2.5-ish), so I foresee the need to trim the chin fairing very soon in order to accommodate the longer filter. Soooo, if anyone is thinking about using this particular filter, take the length into consideration.